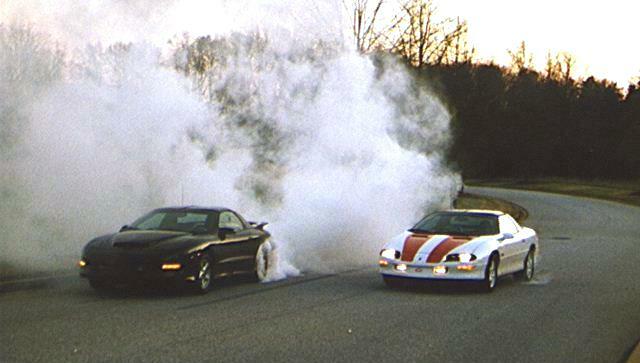 "So far, it has run 8.43 @ 83 mph in the eighth mile, which should be around a 12.97 @ 105 mph in the quarter. 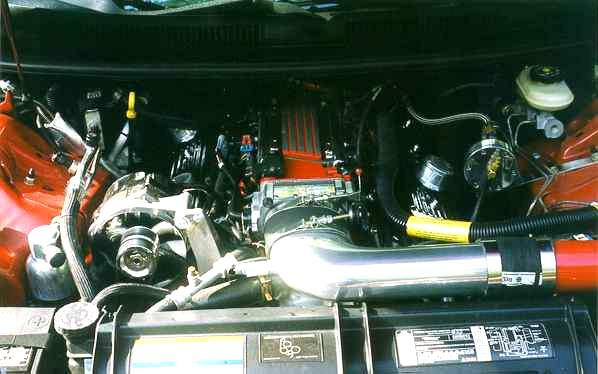 My goal was to prove that an LT1 f-body can hit 12's without internal engine work (heads, cam etc) or power adders (supercharger or NO2). I think I have reached the goal, but will verify it when I visit a quarter mile track. We have two local eighth mile tracks in the area I live." 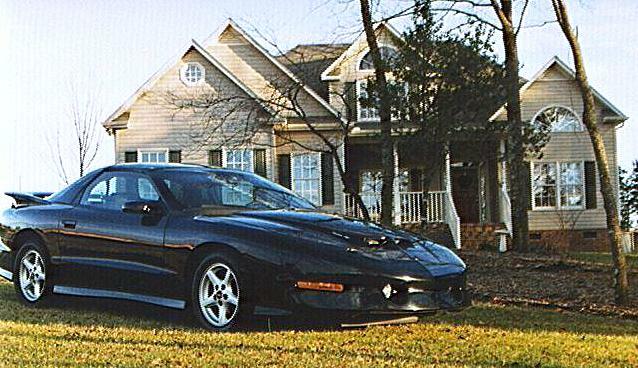 "My 1995 , I have owned for 3 years now I have since moved from NJ to CA and have 111,000 miles on it now and it still looks as good as the day I bought it. I had the trans rebuilt when the synchros went south, and had a Centerforce clutch installed as well as a polyurethane trans mount. it grabs hard! I chirp third gear at the drag strip! I have also upgraded the engine with the Hypertech power programmer/ 160 degree thermostat, Airflow Research heads (best mod yet), SLP underdrive pulley, an SLP cat back exhaust, a home made cold air induction kit with a K&N air filter (much cheaper than spending $150 for an aftermarket kit). I have relocated the air temp sensor (a cool trick from LS1.com) as well as installed a 50 cent resistor to fool the "CAGS" (another cool, cost saving tip from LS1.com). i have installed a Hurst shifter and the SLP/ Hurst shifter knob. Other mods include the coolant temp bypass and I have upgraded the springs and front sway bar to genuine WS-6 items. The car runs and drives great ,and is every bit as fast as the new Ram Air LS1 babies (stock, of course) Ask the guy on the 405 with one who couldn't get away from me the other night... My next series of mods include headers - it's time to complete the exhaust and 3:73 gears with an LS1 aluminum driveshaft. 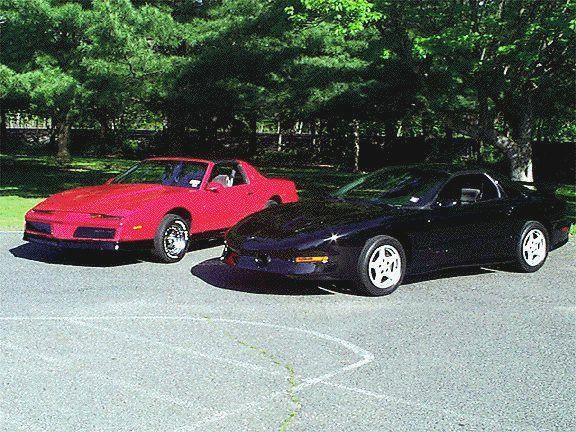 Not bad for a daily driver..."
Brendon also owns a 1984 Trans Am, depicted in the fourth picture, that can be seen at '84 Lot#1 and is currently working on restoring a 1968 Firebird that can be seen in the Firebird Projects Lot#3. 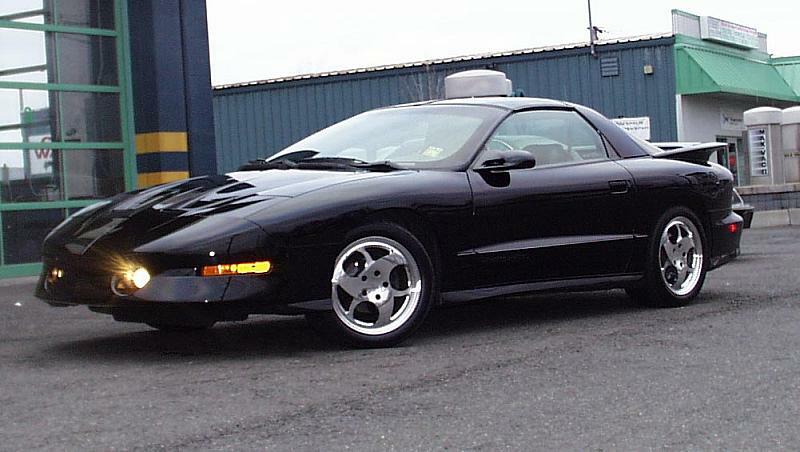 Rodney Alexander owns this midnight black Trans Am. PiAA 910 Clear 135 Watt Driving lights! DAM! 12 coats GM bright red, 10 clears. Dual white stripes added, nose to tail. 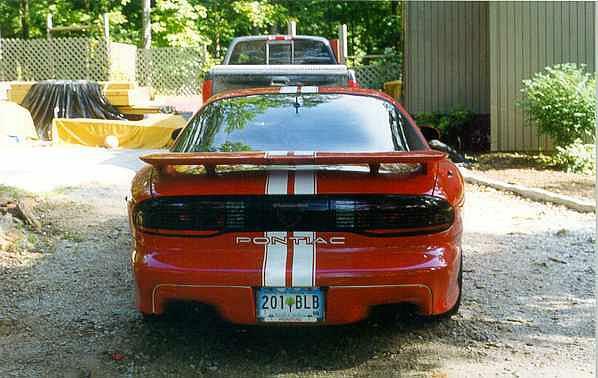 "This car is amazing. 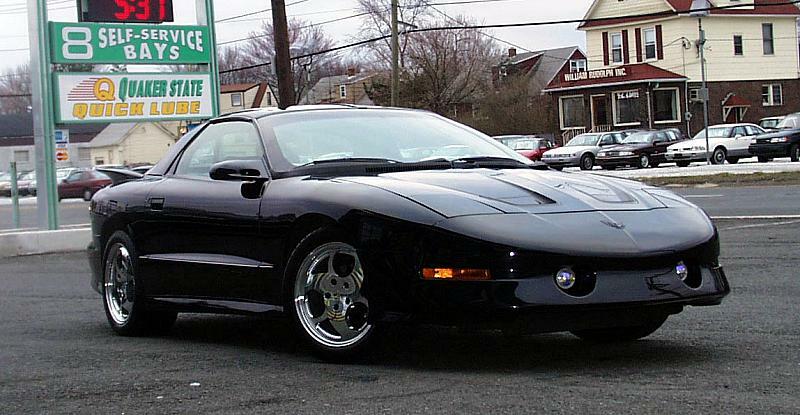 it was originally supercharged with an ATi blower, making a heart-stopping 650hp! Enough to rocket to 60mph in under 4 seconds. it is running naturally aspirated now, but still turning out a good 450 horse to the rear. The suspension makes it a blast to take country roads at insane speeds, without the slightest hint of breaking the tires loose! 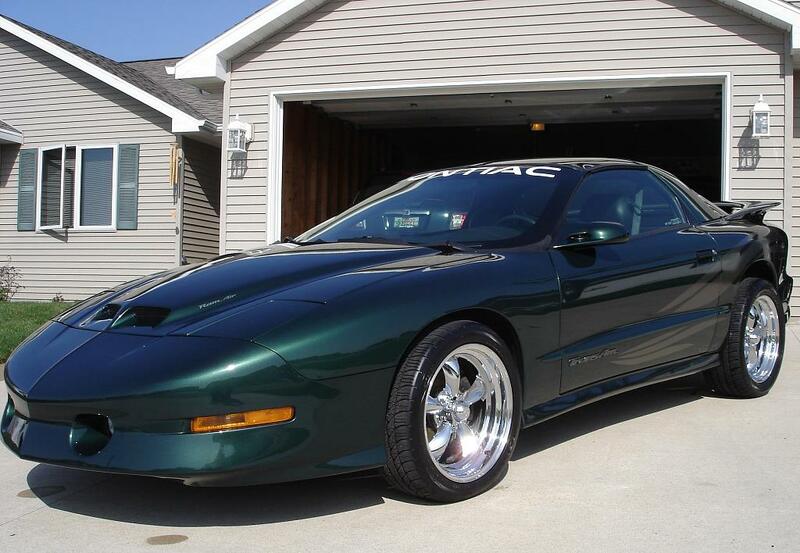 She sounds like a NASCAR stock car, and that ultra-shiny paint makes it a real head turner! 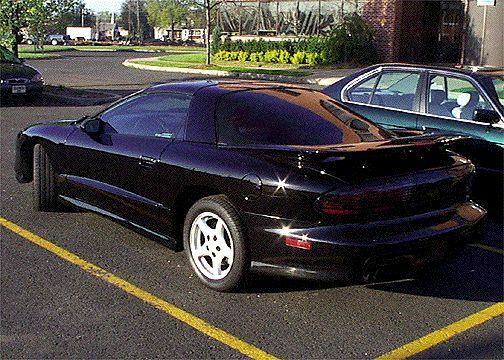 This is my 4th F-body, my second T/A. The car currently is 5 years old, with about 22,750 loving-miles on it. Well, that's about it. What can I say, I love my T/A! 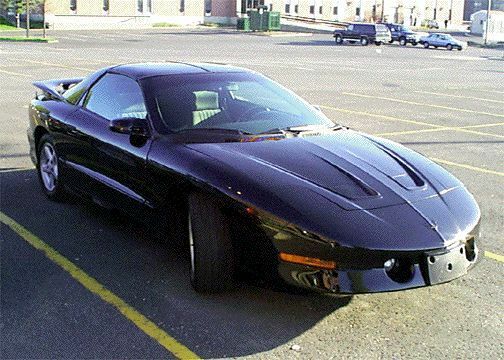 it has outrun many a C5, totally killed a Venom 550 Viper on the drag strip, and I have actually gone up against a few F355 Ferrari's. For all the power it makes, it is still very easy to drive, and actually makes traffic enjoyable! Was a easy 10-second car in full trim, full interior. Drive it down, race and drive home!" 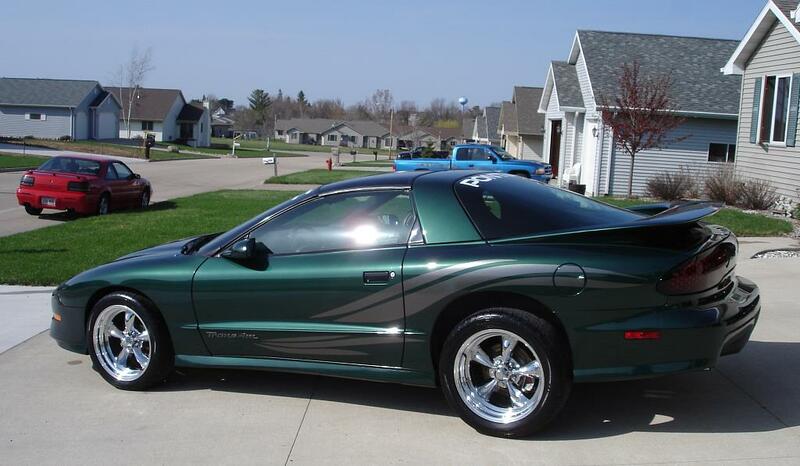 "Hello, i'm a really big big fan of your site and I wanted to see if I could get my Firebird up there =). 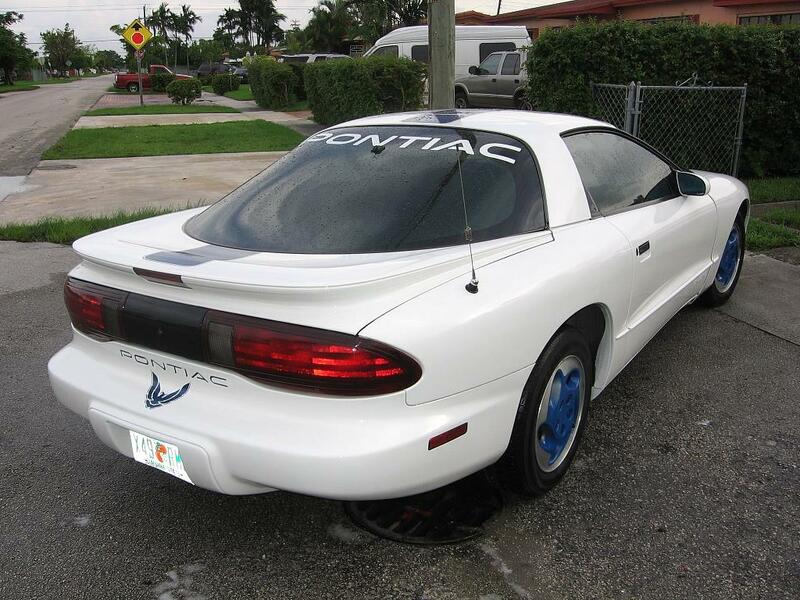 i'm an 18 year old community College student in Hialeah, Florida, going to the Police academy and am a GiANT Firebird/Trans Am fan, heck I love every form of Firebird there ever was, from the Daytona Pace car to the Fire Am. 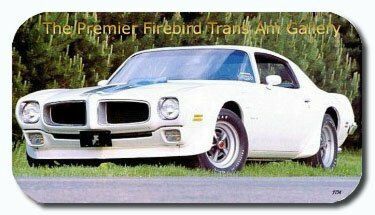 My dad owned 2 Trans Ams in his teenage years, a '72 Boss Bird and a '79 Trans Am which where both plain white with a blue stripe. 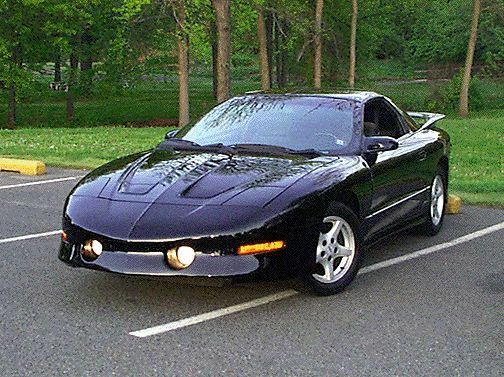 I begged my dad to let me have one just like his, but since gas is terrible and money is tight, I had to settle for my 1995 Firebird. Don't get me wrong, it may only have 165 Horse Power but I toast anyone and everyone I get near with it! How? 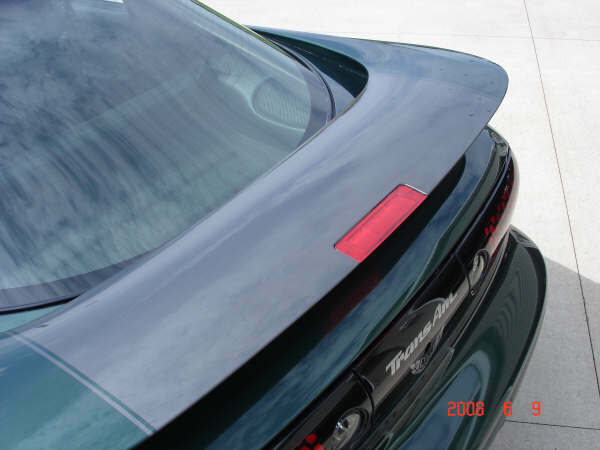 That's for me to know ;D. Thanks again, I attached a picture of my car, which I named Roxy." 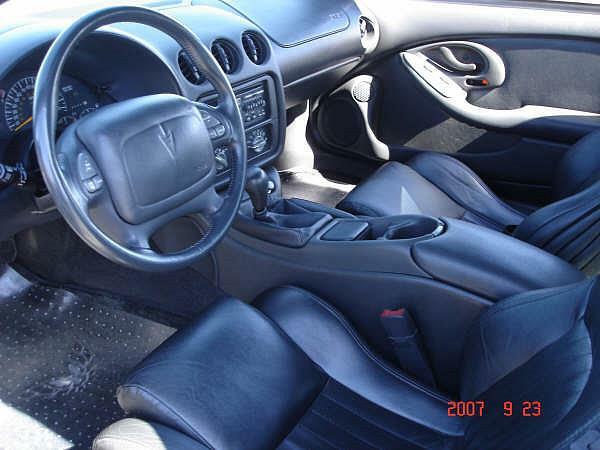 "I bought this car 5 years ago with only 47,000 miles on it. 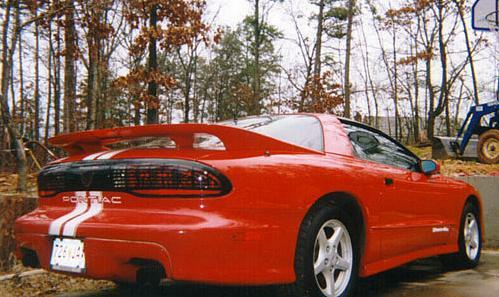 At the time, it was a completely stock, fully loaded T/A including leather, T-Tops and a 6spd. 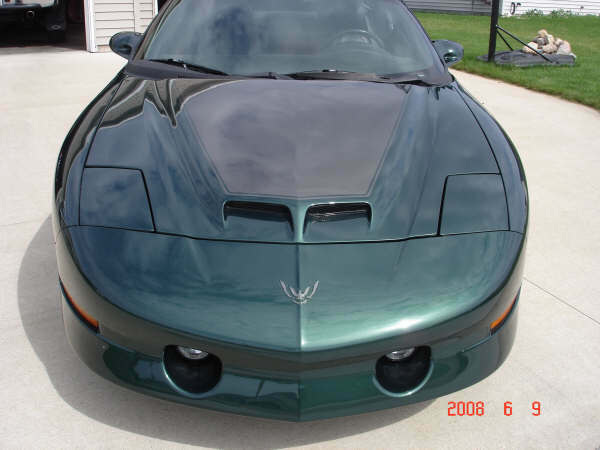 The following year I had the car repainted and installed a Ram Air hood and air box along with '99 style taillights and the rear center piece from an '02 T/A. If you're wondering if my car was in wreck because of the upgrades it was not. These were upgrades I wanted to add to give it the look I desired. After these few upgrades I decided on some graphics so I installed a set of 30th Anniversary graphics. 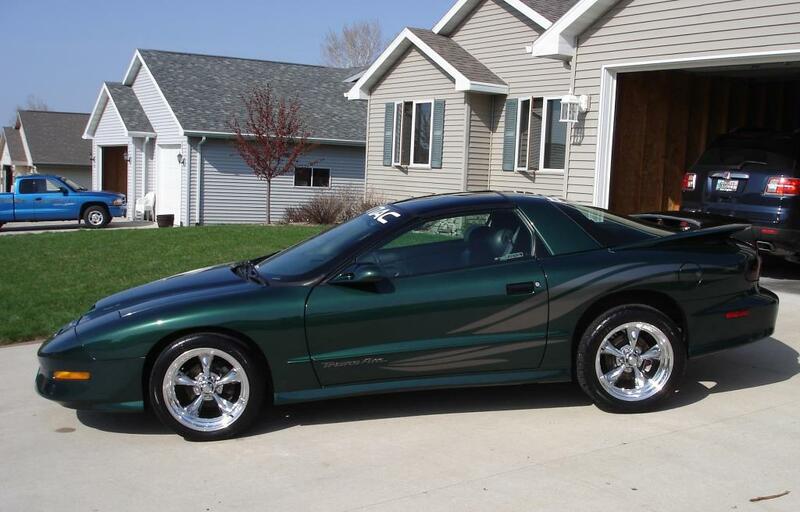 I then decided on a cam upgrade so I had the LT4 HotCam installed along with a short throw shifter. Finally I decided on a wheel upgrade as well. I decided to go with 18" TorqueThrust II wheels wrapped in BFG SuperSport's. I also installed a 3" stainless steel catback Magnaflow Exhaust system. 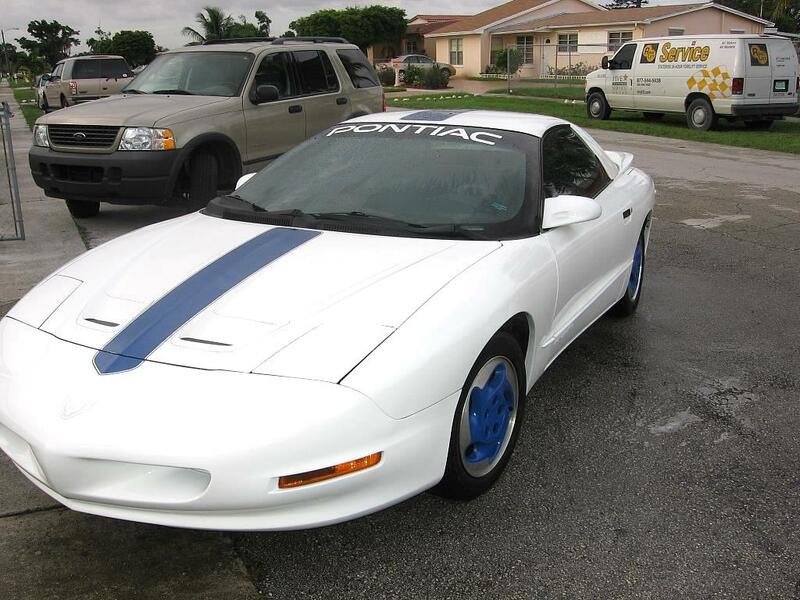 My car only has 56,000 on it at this point and next for it is the Hurst stripe from the '97 Hurst Firebird Formula. My car is only driven on warm sunny days and doesn't see any rain or the brutal Wisconsin winters we have. 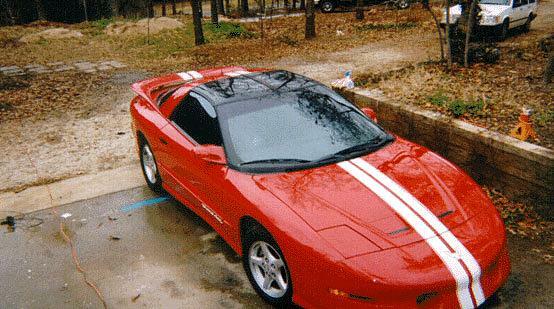 When I have the stripe on I will send an updated pic of it." 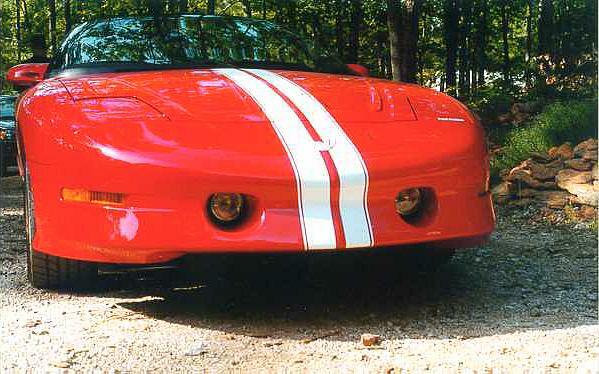 Robert recently added a custom center stripe to the TA (pics 4 & 5).